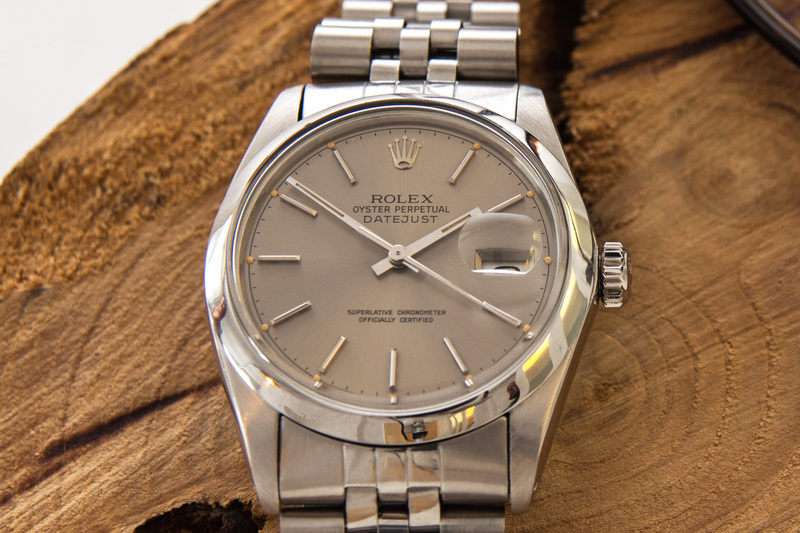 The 36mm Vintage Rolex Datejust never stops to amaze! This early eighties Datejust features a very cool dial with a chapter-ring usually found on sports models like the Gilt Submariner watches from the 1960’s. This is our first time ever seeing one of these and we’ve only tracked down one other example here in the Netherlands. I guess it’s save to say that this is a very rare vintage Datejust! especially considering the amount of Datejust watches circulating around the world. 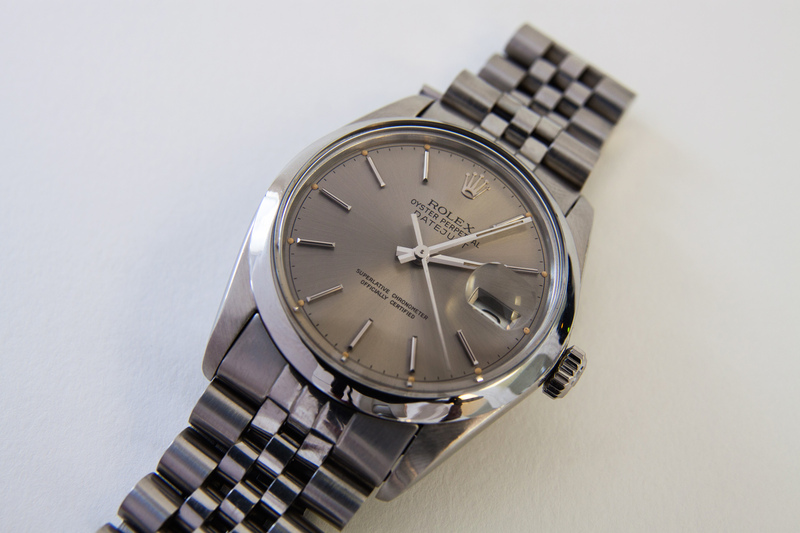 The Chapter-ring Datejust is fully serviced by our watchmaker and comes with a one year warranty.